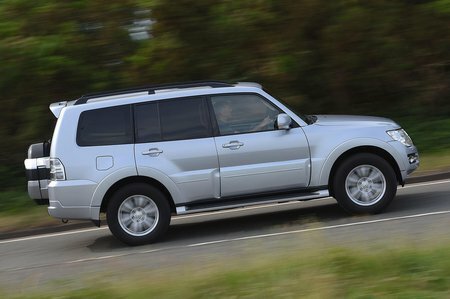 Mitsubishi Shogun Performance, Engine, Ride, Handling | What Car? The Shogun’s engine might be a hefty 3.2 litres, but while most motors of this size have six cylinders this only has four. That means it’s nowhere near as refined as the V6s you’ll find in the pricier Audi Q7 or Volkswagen Touareg. It sends plenty of vibrations through the controls and sounds coarse during hard acceleration. Thankfully, the automatic gearbox is keen to shift up, allowing the engine to settle down into a quiet cruise. But while the gearbox shifts smoothly, it’s slow-witted, so blunts acceleration. Indeed, the seven-seat version is about as quick as most city cars. Although it isn’t fast, there’s lots of low-down power, so the Shogun will cope with being loaded up with seven passengers and their luggage. This means, along with the Shogun’s weight of more than two tonnes – the car can tow up to 3000kg in short-wheelbase form or 3500kg in the long-wheelbase version. But while it can tow a large caravan or horsebox with ease, there are more stable tow cars, such as the Land Rover Discovery. That weight does have its downsides, though. 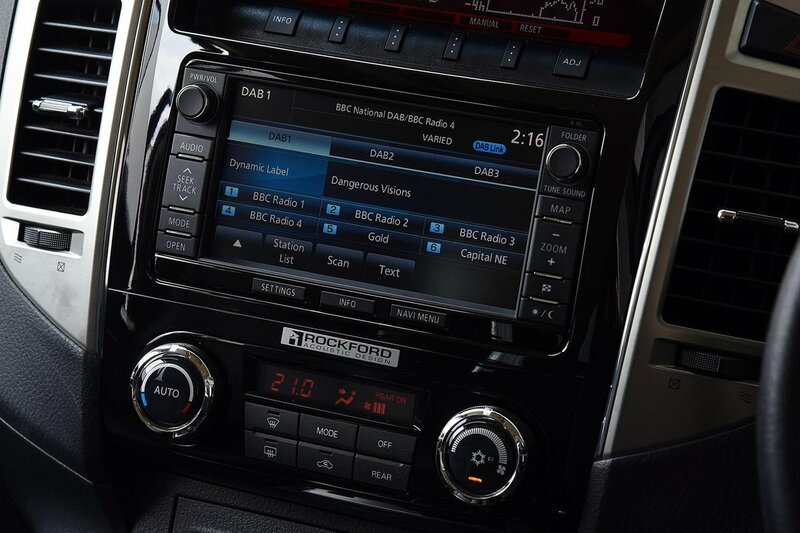 Not only does it contribute to the Shogun’s sluggish performance, it does its handling no favours. Corner even moderately briskly and the car pitches like a ship in sail, while grip levels are only modest. At least the soft suspension makes the Shogun comfortable for the most part, although it does struggle to keep its body level over undulating asphalt. The steering is reasonably precise but slow, making manoeuvring an arm-twirling affair. 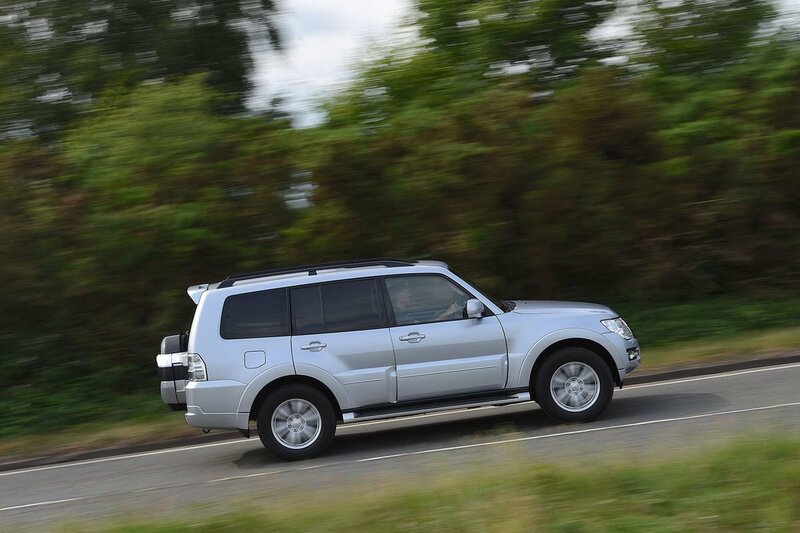 However, should you find yourself off road or dealing with slippery conditions, the Shogun comes good. You’ll need to shift it into four-wheel drive yourself, but you’ve then got the option of locking the centre differential for even more traction and even a low-range gearbox for slow-speed crawling. Only the likes of the Discovery and Toyota Land Cruiser can match it for off-road ability.